A safety standards certificate shows that your vehicle meets the minimum safety standards. You can’t put a license plate on a vehicle without one. 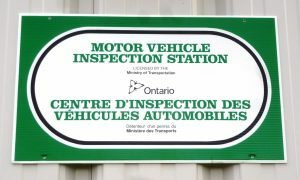 You must use the Passenger/Light-Duty Vehicle Inspection Standard ( PDF ) for vehicles that require a safety standards certificate.